Round and wavy lines of this bathtub invite you to a peaceful experience. This tub features a pure white acrylic body, high backrest and an integrated overflow. Kyan 68 inch Acrylic Freestanding Flatbottom Non-Whirlpool Bathtub in White No faucet Round and wavy lines of this bathtub invite you to a peaceful experience. 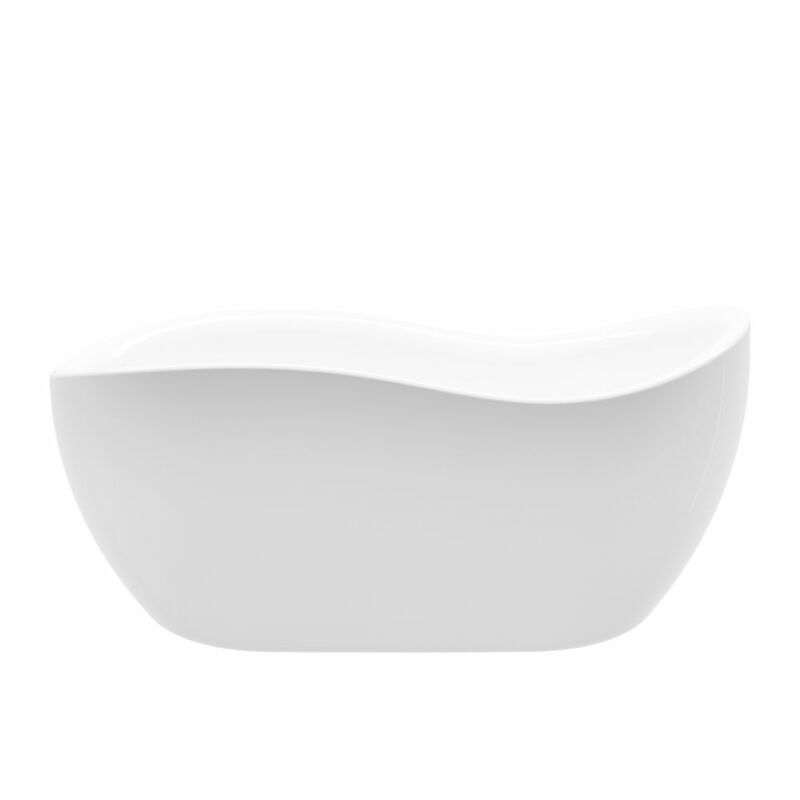 This tub features a pure white acrylic body, high backrest and an integrated overflow.